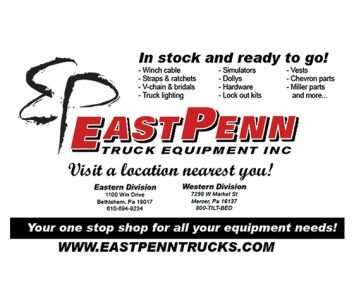 East Penn is your one stop shop for all your equipment needs. We carry a full inventory of Chevron/Miller replacement parts, to include a wide variety of chains, cables, tie-downs, lockout kits and lighting products to accommodate all your maintenance needs. We are also a distributor of the innovative products from In The Ditch. Our website includes parts diagrams for all Miller products for easy ordering. Follow us on Facebook, Instagram and Twitter for the latest updates. 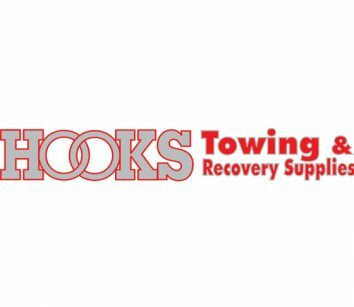 Hooks Towing Supply has been providing you with top quality towing supplies since 1999 with a large variety to fit all your day-to-day needs. Call our sales staff today to place your order 800-876-8963 or visit www.hookswreckersupplies.com. Mobile Lifts has all your towing supply needs. We stock Ramsey winches, winch cables up to 3/4”, wheel simulators, tow dollies, Spyder, LED and warning lights, strobes, tow lights and light bars, chains, hooks, wheel-lift and tie-down straps and ratchets, binders, door tools, Safe-T-Connects, toolboxes and a huge inventory of parts for Jerr-Dan as well as other makes of wreckers and rollbacks. 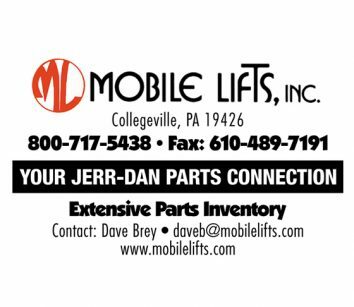 Call 800-717-5438 or visit www.mobilelifts.com.